Winter weather = constant hand washing. It’s one of many ways to keep the icky bugs and germs away. So, it should come as no surprise that I’d want to equip my home with decent hand soap to make hand washing a positive and pleasant experience. The smell of lemons and limes are a big hit in our home so when I saw this bottle of Nature Clean Citrus Liquid Soap on sale for $3.99 at my local grocery store, I was excited to pick it up and give it a test run. 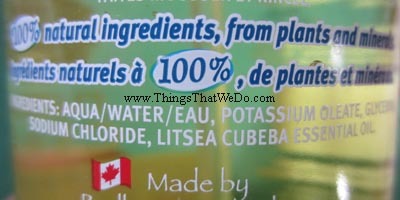 The bottle tells me it’s 100% natural made with 100% natural ingredients. 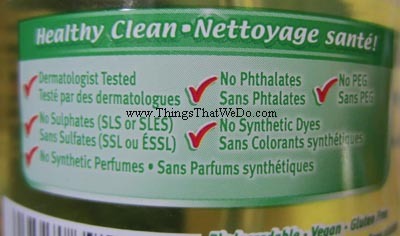 The Nature Clean Citrus Liquid Soap has been allergy tested which is a nice bonus and it’s biodegradable. So, based on that list, the Nature Clean Citrus Liquid Soap sounds like a sure win, right? 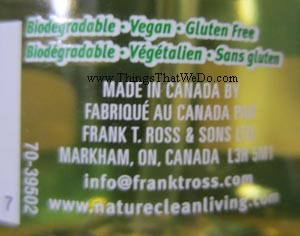 Product Review: What ingredients are in the Nature Clean Citrus Liquid Soap? Here are the ingredients that went into making the Nature Clean Citrus Liquid Soap: aqua/water/eau, potassium oleate, glycerin, sodium chloride, litsea cubeba essential oil. 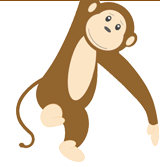 Curious I decided to check out the Nature Clean website and learned that potassium oleate is “natural coconut soap” and litsea cubeba essential oil is pure essential oil. I knew sodium chloride is another form of salt and water and glycerin are obvious enough but I was still curious about the litsea cubeba essential oil. A little bit of digging and basically, this is the essential oil that I think will likely give the Nature Clean Citrus Liquid Soap its citrusy scent among other benefits. 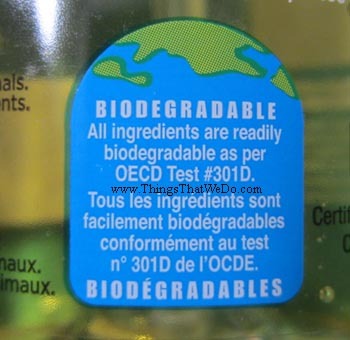 What becomes quite apparent is that the Nature Clean Citrus Liquid Soap doesn’t contain any triclosan, sulphates, phthalates, PEG, synthetic dyes or synthetic perfumes. Think about it, how many brands of soaps on your grocery store shelf can make that kind of claim? 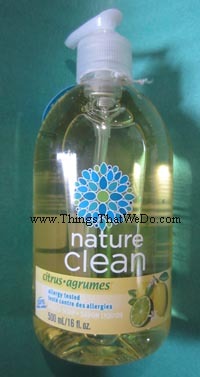 Product Review: is the Nature Clean Citrus Liquid Soap any good? This is a tough call. I mean, how do you measure if a liquid hand soap is any good or not? There’s no doubt that the ingredients are solid, no complaints there. For our family, we decide the worth of soap based on how it makes our skin feel and how it smells. The Nature Clean Citrus Liquid Soap is a clear liquid hand soap with just a hint of yellow. This seems to be a new feature as our bottle noted that the colour had changed. Our family was fine with this given that no synthetic dyes were used. Again, we also love that it’s biodegradable. We knew from the get go that the Nature Clean Citrus Liquid Soap would likely not make too many bubbles given that it doesn’t contain any sodium lauryl sulfate. True to our expectations, the Nature Clean Citrus Liquid Soap doesn’t make too many bubbles but it does leave your hands feeling smooth and clean afterwards. It definitely doesn’t dry our hands like some other types of soap do but I still like to moisturize my hands afterwards when I can. Can you sense the ‘but’ that’s coming? But…no one in our home likes the smell of the Nature Clean Citrus Liquid Soap. One of the first things my big kid said when she tried the Nature Clean Citrus Liquid Soap for the first time was, “It doesn’t smell like lemon or lime.” She later decided she didn’t really like the smell of the Nature Clean Citrus Liquid Soap. The hubby wasn’t quite as diplomatic and just flat out said he didn’t like the smell. I have to be honest and say I’m not a fan of the smell either. While I can smell the ‘citrus’, the pictures of a lemon and lime I think are slightly misleading because the soap definitely does NOT smell like fresh cut lemons or limes. Now that I know where the litsea cubeba essential oil comes from, Nature Clean might have been better off either showcasing the tree that it comes from or the flowers from the tree instead of the lemon and lime. I think all of us had certain expectations of how the soap would smell and it definitely fell short of that mark. At the time of this post, our family has probably been using the Nature Clean Citrus Liquid Soap for a good 2 weeks now, reluctantly. We wanted to see if the scent would grow on us and it hasn’t. We tolerate the smell because the ingredients of the Nature Clean Citrus Liquid Soap are incredibly clean and decent. Having said that, Val’s Veggie Bar is made with only 3 ingredients and it smells significantly better. Sure, it’s not a liquid soap but still, there are other options. I can’t help but think that maybe the folks at Nature Clean might have wanted to add some real lemon or lime extract somehow just to tweak the scent a bit more. Long story short: Nature Clean Citrus Liquid Soap is decent. There are other scents so I might try a different one just to round out my opinion of the product but I’ll wait until I come across another sale. Our family just isn’t jumping for joy over the smell.